Just wanted to say that I am now part of FictionPress.com. There’s still nothing on it yet, but I will be posting my writing in there, so be sure to check it out sometime soon. 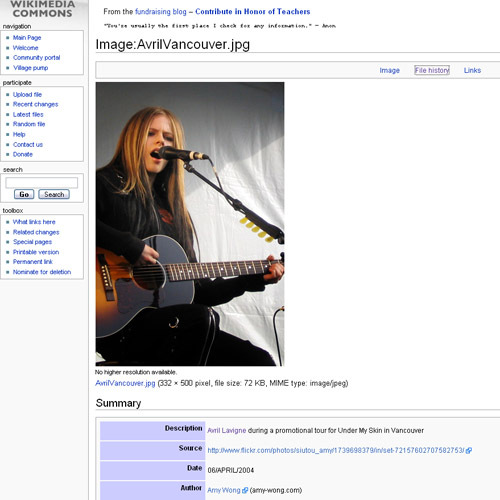 One of my photos from Seeking Avril in Vancouver is on Wikimedia now! Finally I’m appearing on IMDB!